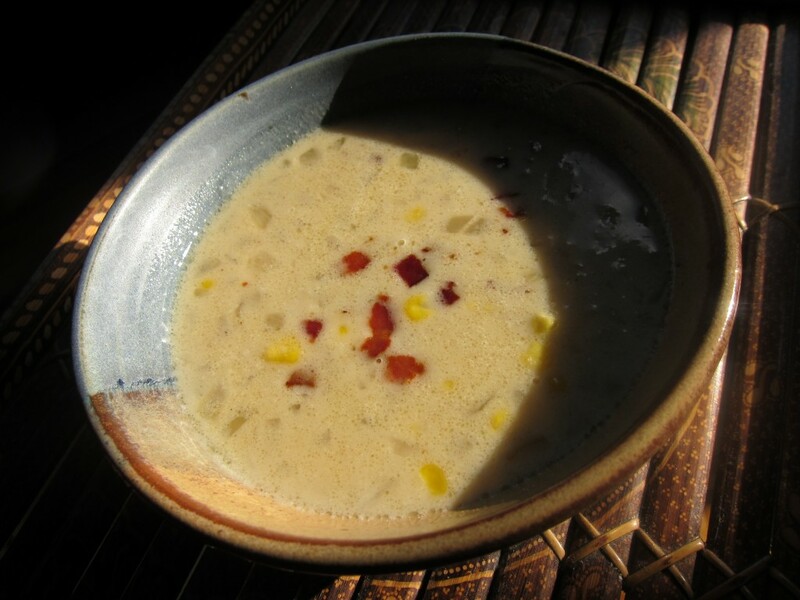 One of my favorite home-made chowders is an old Gourmet magazine recipe for cheddar and corn chowder that I like to pull out during cold winter months when I’m craving summer’s sweet corn and looking for a weeknight dinner that’s both easy and oomphy. In spring, this chowder feels just a smidge too rich, however. But I had an idea for how to tone it down a little. … tossed into a pot and fried to a crisp. When that was done, the bacon came out and in went the onions, some butter, cumin, and later on, chicken broth and finely diced potatoes. So instead of adding cheddar to the mix, I gradually added little globs of miso, which did indeed lend a unique dimension to the chowder. The end product was irresistible — the combination of corn, potatoes, chicken broth and cumin spiked with earthy, creamy miso and topped with bits of crunchy bacon, was unbelievable, if I may say so myself. I had worried that I would miss the rich cheddar taste that I love so much about this chowder but the miso more than makes up for it — and its distinct flavor is an added treat, especially if you are a fan of the salty Japanese soup. This chowder is more than a meal on its own but it’s also delicious served with piping hot biscuits and a side salad. This one’s for you, Karen. Get well soon, dear! Don’t forget to check out the Let’s Lunchers’ liquid lunch offerings below! And if you’d like to join Let’s Lunch, go to Twitter and post a message with the hashtag #Letslunch — or, post a comment below. Cook bacon in a heavy saucepan over moderate heat, stirring, until crisp and transfer with a slotted spoon to paper towels to drain. 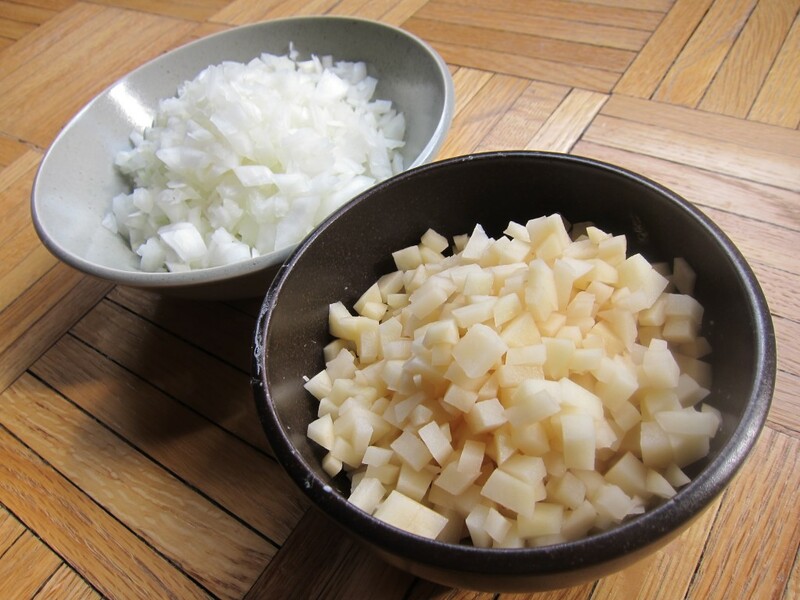 Add onion and butter to fat in pan and cook, stirring, until onion is softened. Add cumin and cook, stirring, 1 minute. Add flour and cook, stirring, 1 minute. Whisk in broth and bring to a boil, whisking occasionally. Add potato and simmer, covered, stirring occasionally, until just tender, 8 minutes. Stir in cream and corn and return to a simmer. Add miso, stirring until it blends in with the liquid. If you like the taste of miso, add more miso at this point. Add salt to taste. Serve topped with bacon, with a salad and hot crusty bread. 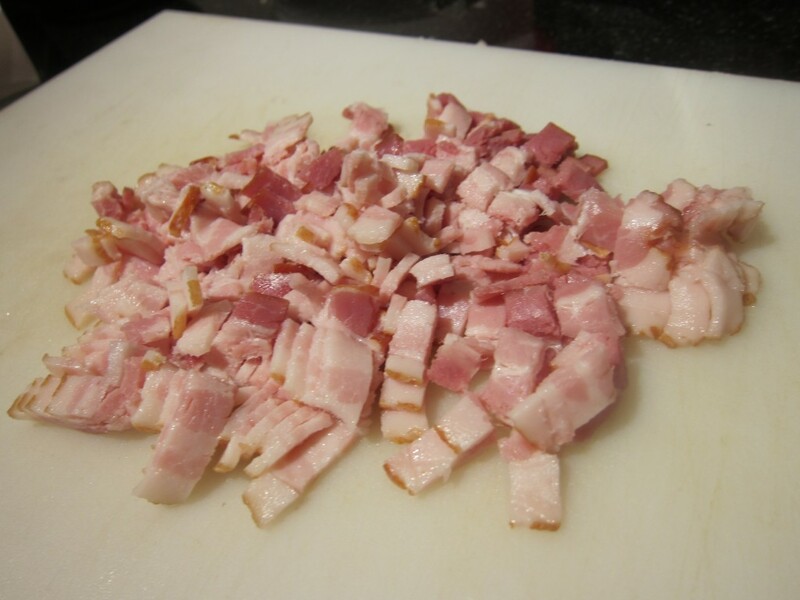 This entry was posted in Bacon, Let's Lunch, Recipes, So Good It Must Be Bad For You, Soup and tagged Bacon, Brad Farmerie, Chowder, Corn, Cumin, Double Crown, Japanese, Let's Lunch, Miso, New York, Potato, Soup by Cheryl. Bookmark the permalink. Thanks! 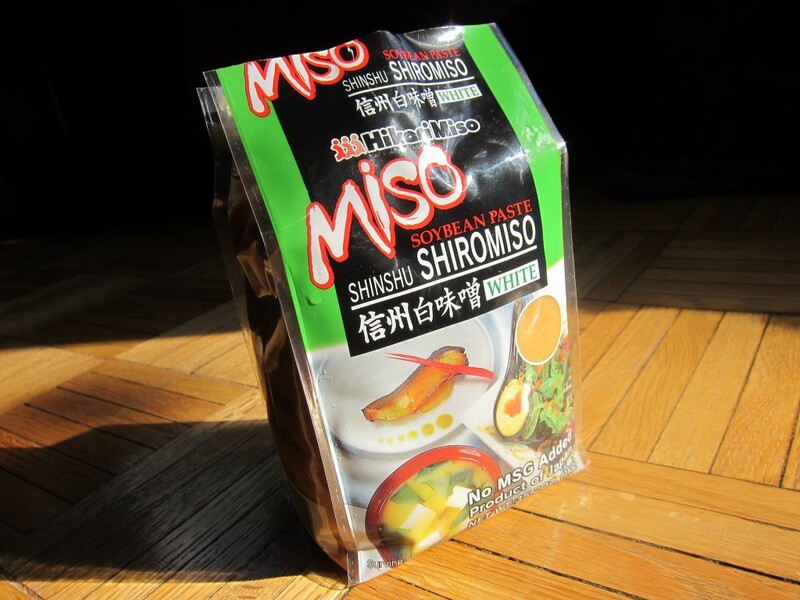 I highly recommend adding miso to your pantry — I use it in stir fries (a tablespoon plus some sugar and chillies really spices up a vegetable stir fry) all the time. I recently whisked some together with low-sodium beef broth, ginger and garlic and made a lovely marinade for veal. Two thumbs up! wow, thank you so much for taking such virtual good care of me! This looks so tasty – what’s not to like about bacon & miso? Always love your ideas and recipes. I agree with Rashda, now I want to add Miso to my pantry. I stare at it in the store, but don’t pick it up wondering how I would incorporate it into everyday – you’ve given me that answer. Now, I’ll look for those easy ways to add a TBLS here and there. Love the chowder. Hey, didn’t this whole crazy thing begin with bacon? And you’re still at it, I see…. Well, thank goodness. Where would we all be without bacon? And without our fun Friday lunch group? Having lunch all by our lonesomes, we would. I just love how this little group has grown. Karen, the soup on its own is delish too! Ooh Cheryl, this looks lovely!! My former editor gave me a great ham and corn chowder recipe last year, so I know I already dig these flavors mixed up together!! Can’t wait to try this! 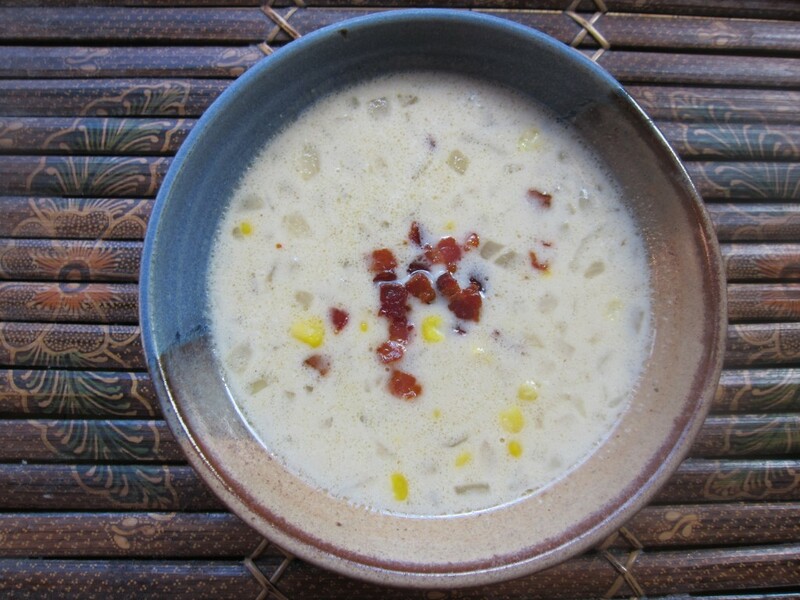 Ham and corn chowder…yum. I’d love to see that recipe if you’re willing to share!